What’s the ‘M’ stand for? This is one of the most frequently asked questions from brides when they first arrive in our studio. What on earth does that random “M” stand for on the RSVP card? A little invitation history is necessary to find the answer. Centuries ago, it was common for guests to actually write and mail their own response to a party or wedding; the hosts of the event were not responsible to produce this card. “Répondez s’il vous plaît” would be printed on the bottom right corner of the invitation, and no separate RSVP card would be included with the invitation. Guests were responsible for writing a little note (on their own stationery, no less!) to indicate whether or not they would be attending the event, then pay for the postage and mail it back to the host. 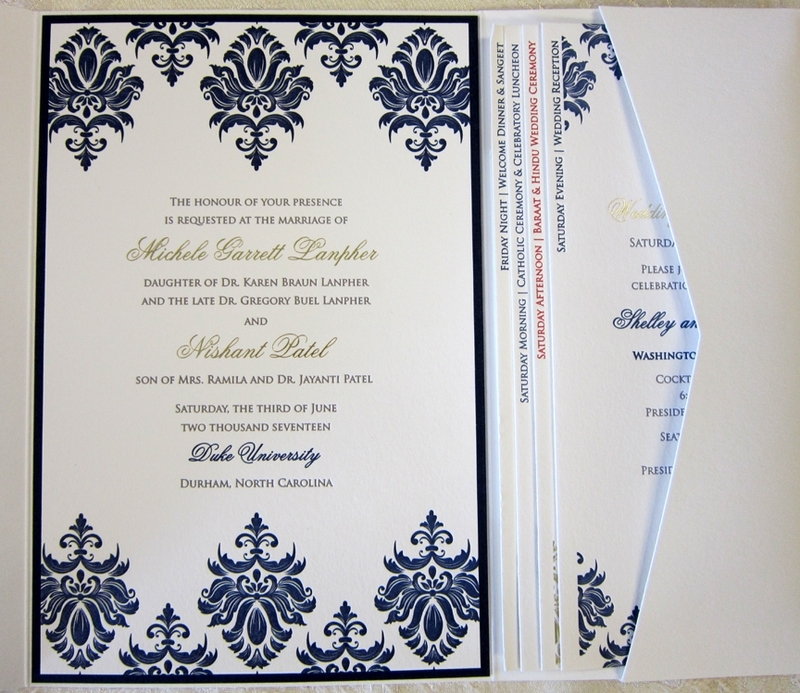 This is a little different than today’s custom that seems less strict when it comes to the formalities of RSVP cards. Most brides today have RSVP cards that guests fill on a printed or engraved card with their name, their guest, and their meal choice, then mail it back to the host in an envelope already containing prepaid postage and a printed address. During the transition over time of the RSVP card and many brides dropping the traditional formality that used to be required of responses, the RSVP card has shifted to include a singular “M” before the printed line for a guest name.This is a prompt to the guests of where to write their names. The “M” is the beginning of the formal title- Mr./Mrs./Miss- and it is to ensure that guests don’t forget to actually include their names. This is the most important part, after all! Do I Have to Keep the “M”? Many Persnickety brides are abandoning the singular M for the word “Name” or even just an empty line. This is acceptable for more modern or less formal events. However, if your wedding falls in the category of ultra traditional or is a black tie affair, we suggest sticking with tradition and including the “M” on your RSVP card. 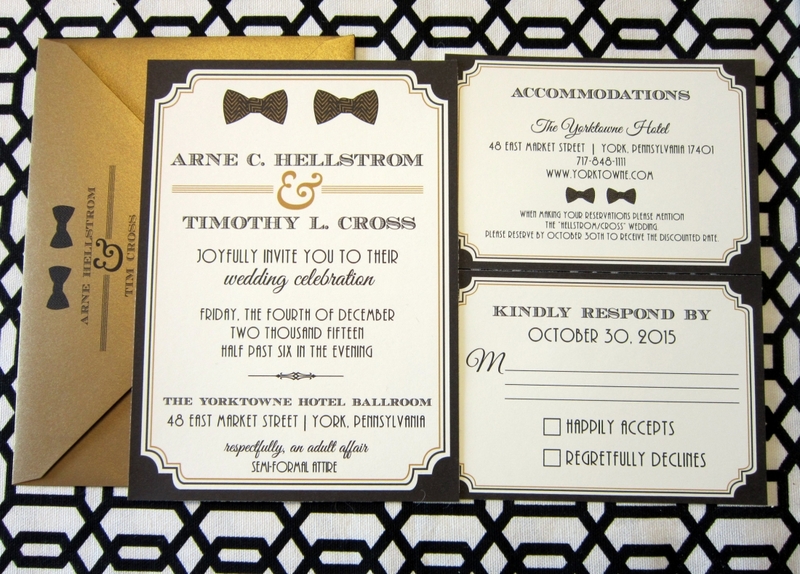 Do you have a specific question when it comes to your wedding stationery? Persnickety would love to help! 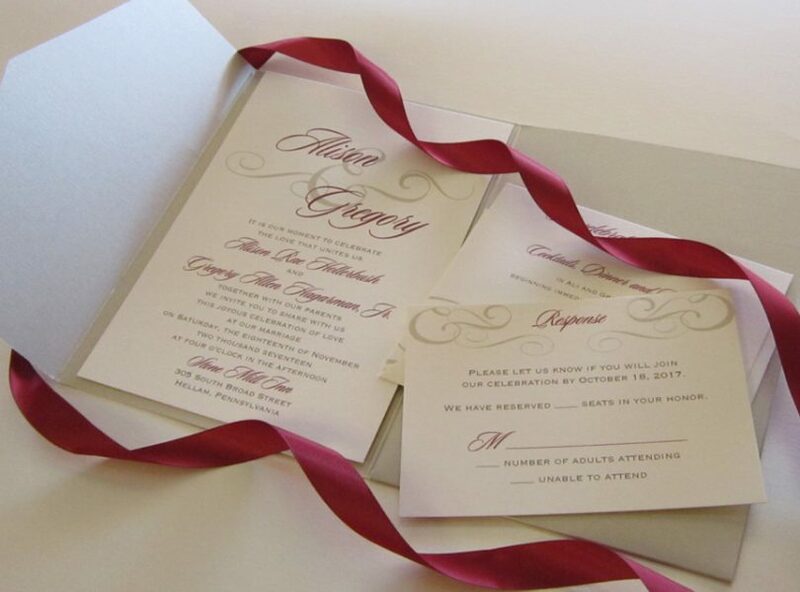 Click here to schedule your appointment with an invitation specialist and let us help you find the perfect paper suite, with or without the “M”!